Mississippi Gov. 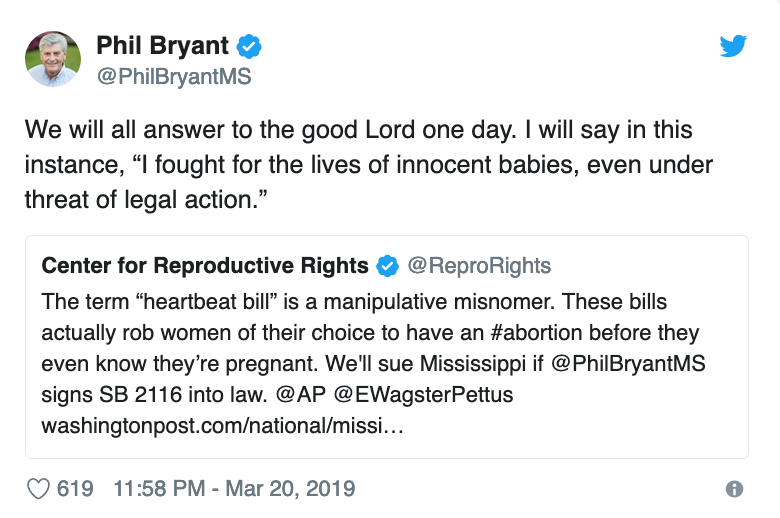 Phil Bryant has signed one of the strictest abortion laws in the US. The Southern state now outlaws most abortions once a fetal heartbeat can be detected, about six weeks into pregnancy.